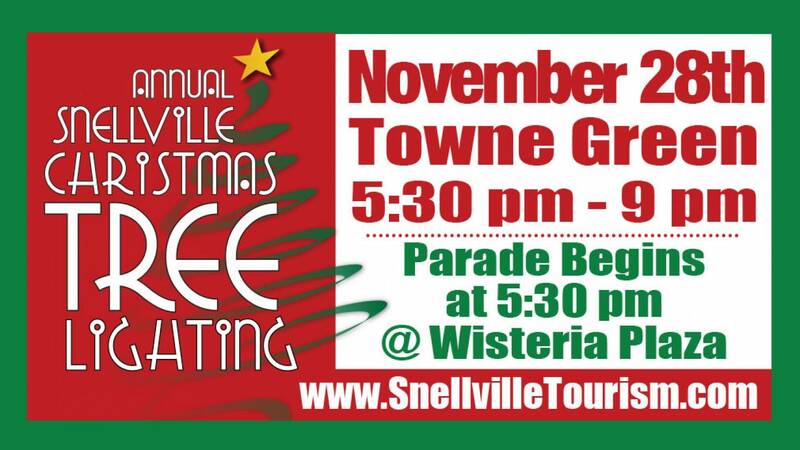 Join us for our first lighted Christmas parade that will start at Wisteria Plaza and end near the Towne Green. The parade route will head down Wisteria and take a left on North Rd. and then another left on Oak Rd. and end near the Towne Green. Snow will fill the air as the parade marches past the stage as our MC announces each parade entry. We have some spectacular floats and lighted trucks in the parade that you won’t want to miss. We are honored to have Captain Andrew Miller III and the Salvation Army as the Grand Marshall of the parade this year. All festivities will begin on the Towne Green which will start approximately at 6:30 PM, immediately following the parade. Even though the activities don’t start until 6:30 PM, you may purchase tickets early at the ticket tent on the Green at 5:30 PM to avoid the rush. TICKETS may be purchased with money or with canned goods. Each ticket is valued at $1.00 and may be purchased with a $1.00 or each ticket may be purchased with two cans of food. STAT is partnering with Give Hunger the Boot to benefit the Gwinnett Southeast Food Coop. Please help those less fortunate this year. All activities are $1.00 for the exception of the Horse Drawn Carriage ride that is $7.00 per carriage ride, NOT PER PERSON. Horse Drawn Carriage Rides – $7.00 per carriage ride NOT PER PERSON.